We had the opportunity to visit Texana Park last weekend so I thought a review might be a change of pace vs. the camper/house sale updates. 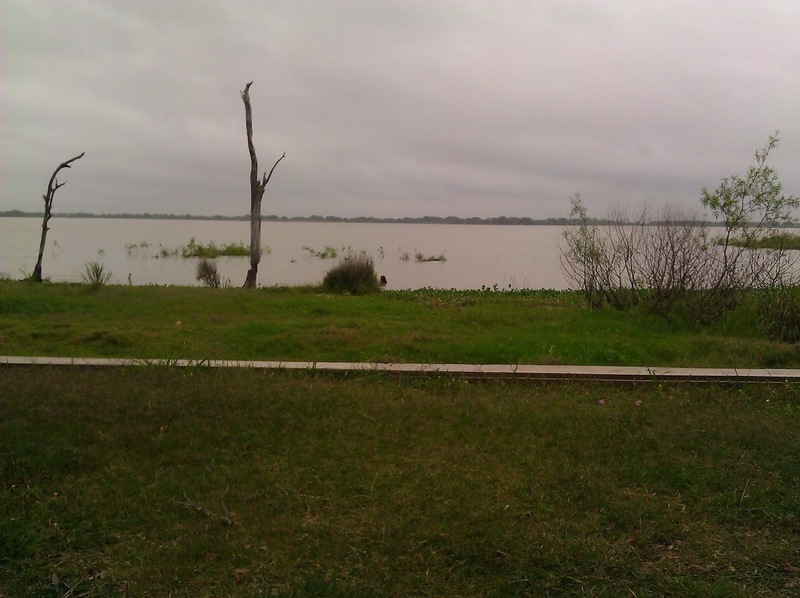 Texana Park gets it's name from Lake Texana, on whose shores the park is situated. 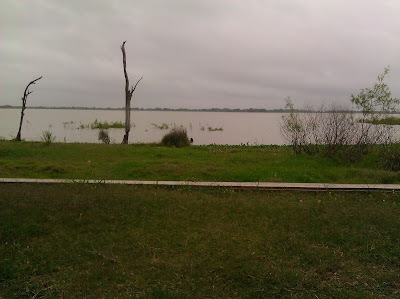 Lake Texana was created by damming the Navidad River. The park used to be a Texas state park but is now owned and operated by the Lavaca-Navidad River Authority. 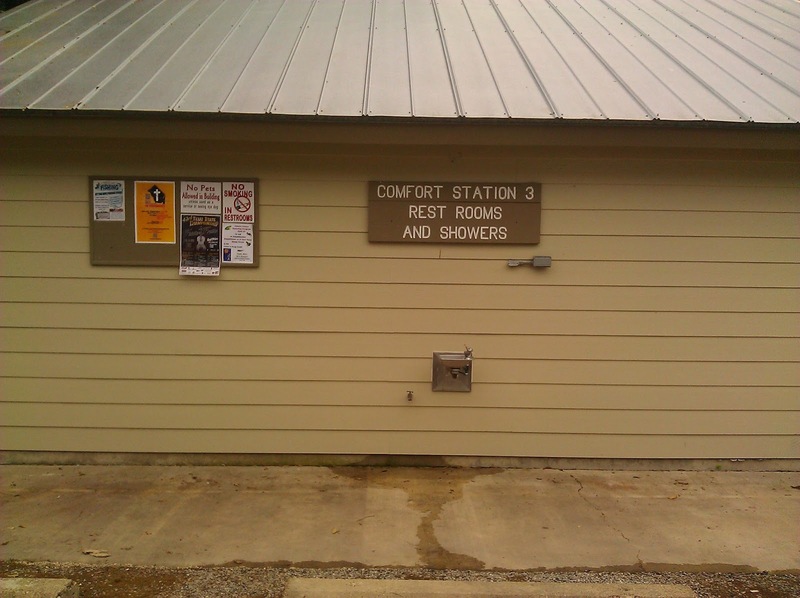 Cost is $23.00 per night for a campsite with hookups. There are 139 campsites so its a fairly good sized campground. There is also a day use area with picnic tables, a boat ramp and a pier to fish off. 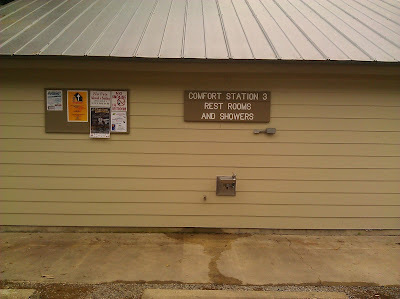 There are 5 restroom/showers spaced among the campsites. 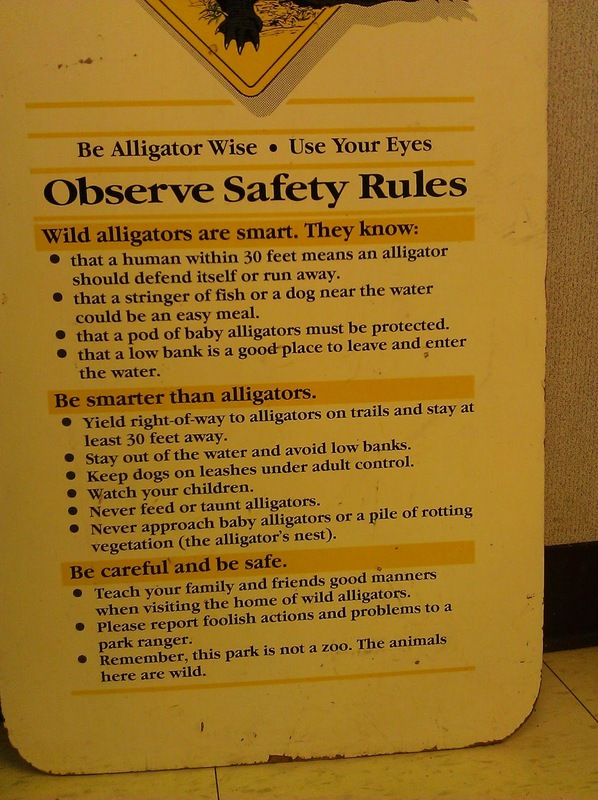 Over near the day use area is a small Nature Center that exhibits both live and mounted examples of the local animal population which includes a couple different types of venomous snakes, alligators, white tail deer, dozens of different bird species and even bobcats. We lucked out on the actual campsite we obtained. It was a large waterfront site that had thick bushes and trees on both sides of it that made it completely secluded from the sites to each side. This campsite was the largest we've encountered in our Texas camping and had a great view of the water. With all the water around we assumed there would be canoe or kayak rentals but when the two nice ladies at the park office were queried they said that there are plans to have rentals NEXT year....somebody is missing a business opportunity! If you want to canoe or kayak this year on Lake Texana you'll need to bring your own. 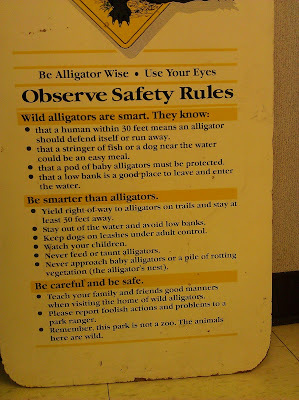 "Yield right of way to alligators." No problem! We had wonderful partly sunny low-80's weather but that changed big-time after midnight Saturday night when a powerful thunderstorm camped over us for about 6 hours with winds in the 30 to 40 mph range. Then Sunday morning the weather completely cleared and it was a cloudless mid-70's day....perfect! 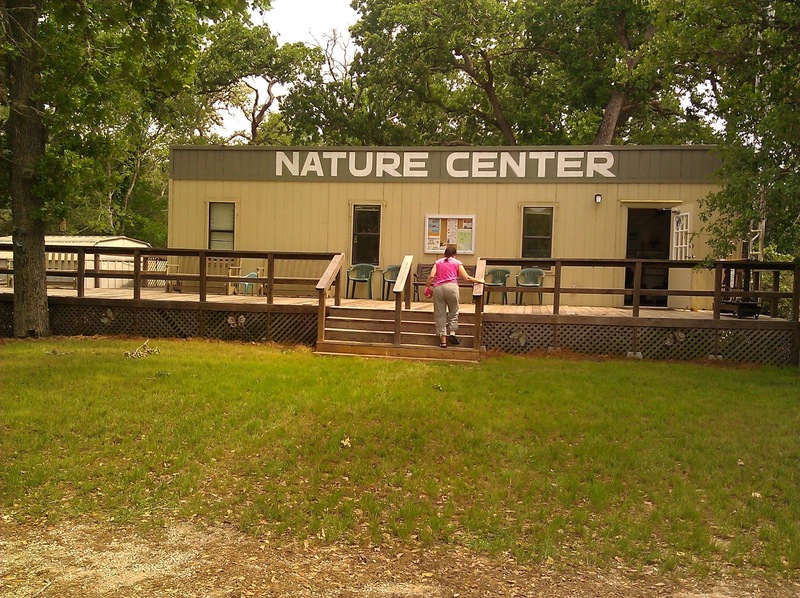 Texana park has about 10 miles of hiking/biking trails to explore and abundant wildlife can be observed along the trail. We had two whitetail deer walk through our campsite to get their morning drink from the lake Sunday. 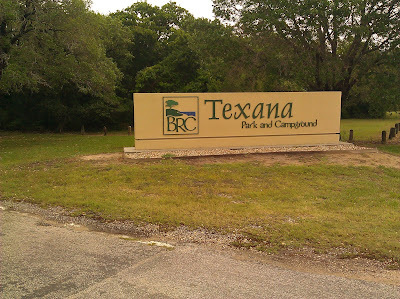 Conclusion: We really enjoyed our weekend at Texana Park. 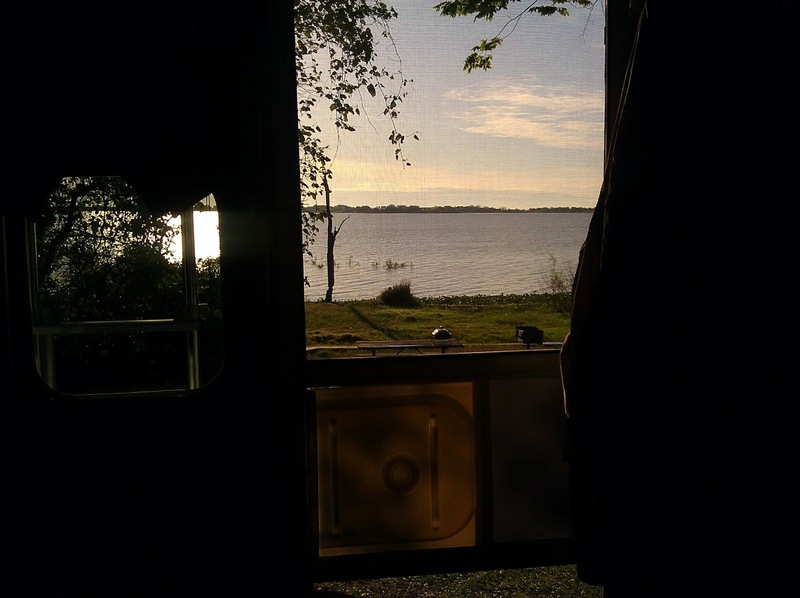 We thought we got the very best campsite out of the 139 but there are probably a lot of other really nice ones too. 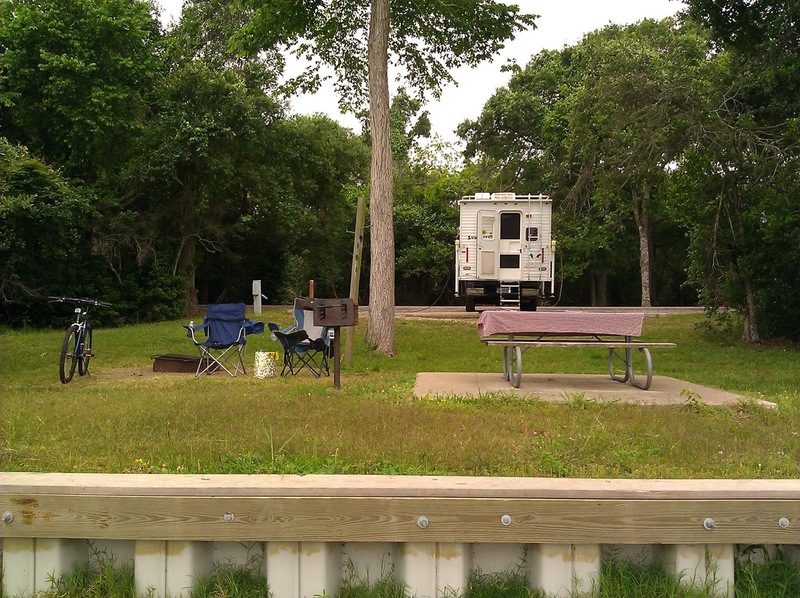 We gave the park a 4 out of 5, deducting a half point for no watercraft rental and a half point for being about $5 to $7 more than most Texas State parks. If you go request campsite 88, you won't be disappointed!